Last Thursday, I walked up to a house, rang the doorbell and spent the next five hours with the new parents and their baby who lived inside. © 2010 by The Atlanta Journal-Constitution. (Click on the image above to view the full photo gallery on ajc.com.) Kelly Skelly, of Roswell, breastfeeds 2-week-old Liam before she and Kevin prepare to take him to Kevin's parents' home for a few hours on Thursday, Aug. 19, 2010. Kevin and Kelly Skelly met at cancer camp when they were teens. They both overcame their diagnoses. He proposed to her a few years later, at camp. They didn’t think they could have a child — Kelly had been told her medication for the cancer had rendered her sterile. They decided to try anyway. And now they have 3-week-old baby Liam. © 2010 by The Atlanta Journal-Constitution. (Click on the image above to read the relevant article on ajc.com.) 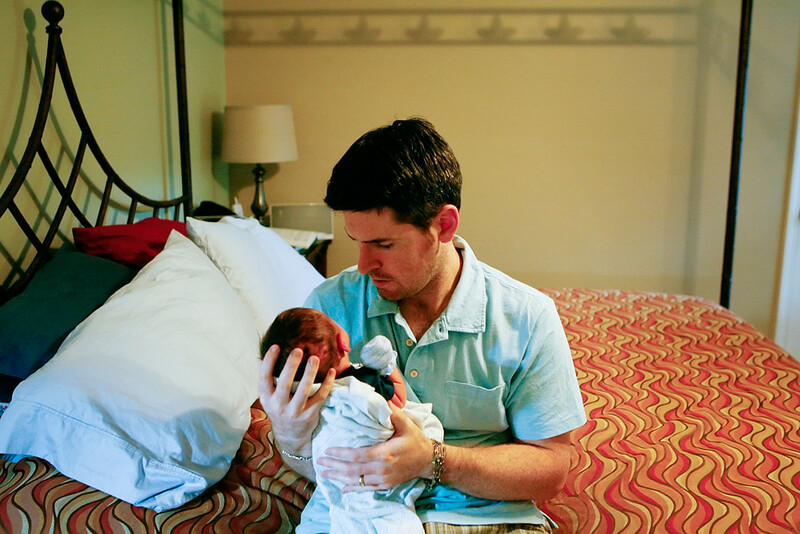 Kevin Skelly, of Roswell, cradles 2-week-old Liam in the master bedroom on Thursday, Aug. 19, 2010, after feeding the baby some medicine for jaundice. Thanks to Kevin and Kelly for letting me into their home for five hours, especially since they weren’t expecting me at the time.